On every decision maker's desk there's a series of invisible glasses. 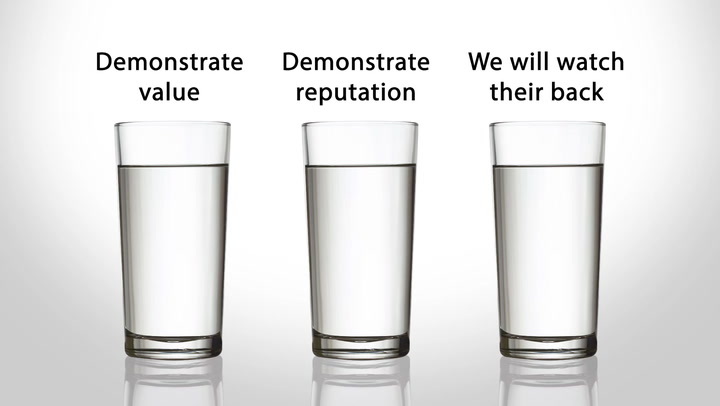 Each glass stands for a different decision making criteria. The value of the provider's offer, the provider's reputation, whether or not the provider will watch my back. It's our job as salespeople to learn these criteria in the fact finding. In the proving stage, we fill the glasses. We show them that we have value to our offer, that we have a good reputation, that we'll watch their back. That's the way we establish that there's a fit.